We provide various premixes of vitamins or minerals with flavours on customer demand. The micro minerals include iron, cobalt, chromium, copper, iodine, manganese, selenium, zinc and molybdenum. Micronutrients also include vitamins, which are organic compounds required as nutrients in tiny amounts by an organism. Micronutrients are nutrients required by humans and other organisms throughout life in small quantities to orchestrate a range of physiological functions.we provide various premixes of micronutrient with flavour on customer demand. We provide various Micronutrients Premixes which include, cobalt, chromium, copper, iodine, manganese, selenium, zinc and molybdenum. Micronutrients also include vitamins, which are organic compounds required as nutrients in tiny amounts by an organism. Micronutrients are nutrients required by humans and other organisms throughout life in small quantities to orchestrate a range of physiological functions. Micronutrient deficiencies, which affect over two billion people around the globe today, are the leading cause of mental retardation, preventable blindness, and death during childbirth. They are responsible for neural tube defects - the second most prevalent class of birth defects in the world - and play a significant role in reducing the most common form of birth defects. Used in Biscuits, Floor, Noodles, Dry Snack, Health Drink, Protein Supplement etc. 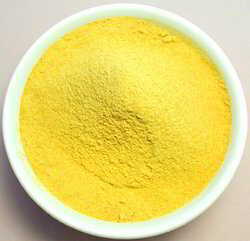 Looking for Micronutrient Premixes ?